When we talk kids, we think a lot on how to take care of them. It is always about expenses on toys, cloths, taking them out and spoiling them with yummy things and so on. Apart from all of the above, parents will always love to spend quality time with their kids. 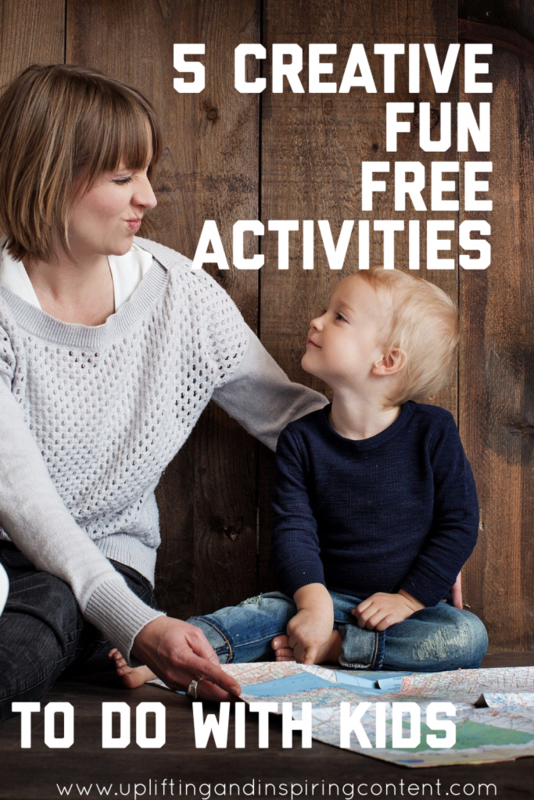 I am going share with you some creative free fun activities that you can do with your kids. It’s time to play the chef! If you are looking for creative free fun activities to do with your kids, cooking is one of the first to add on your list. It’s great fun for kids when you get them involved in the kitchen. Let them be the chef for simple kid-friendly recipes like baking cupcakes, pancakes in the shape of your child’s initials together and many other simple non-risky ideas. Girls love taking care of their hair. You can find time and play the salon activity with your kids. Let them be your hairdresser once in a while. Those that have daughters will understand what it means to get them ready for school. During such creative fun activities, you can teach them how to do easy hairstyles by themselves. It won’t be only fun but will save you time when the need arises. What about growing a garden with your kids? Children are very curious and will learn a lot by doing things. Playing with dirt is one of their favourite. As they work in the garden with you, it’s fun to them. What you may not know is that they get to learn how take care of something over time. Creative free fun activities like gardening is a great way to educate the kids on environmental awareness by learning how nature works. If you are stuck for ideas on creative fun activities to do with your kids during a rainy day, then recycling is a perfect indoor fun you can enjoy together. Look for household objects that the entire family can work together to recycle. Just like playing with dirt, children enjoy playing and making objects. While playing, you can talk to them about recycling and why it is better for our planet. Drawing is very important in your child’s development. It is one of the first things that a child does. Mums can tell you better when they forget their pen and note book on the table. Children may not always express themselves using words or actions, so they use drawings to communicate. Creating drawing or painting time with your kids will help enhance their motor skills. Was this helpful? Don’t hesitate to drop your comments below. Do Our Kids Really Know What Christmas Is All About? Totally agree. My girls love doing my hair and playing salons and I like my hair to be done so works quite well. Lovely ideas.